Santosh Pyakurel - Why do Student go abroad? When living abroad, you not only get to experience the country you're living in, you get to travel to other far away places that aren't so far away anymore. Studying abroad affords you the opportunity to hop on a train and get a quick and cheap flight to get you anywhere in a few hours. Get out of your hometown, or your college town, and see the world. It's easy to get caught up in the little bubble that is your world, and to miss out on things much bigger than you that are happening around the world. Going abroad is a great way to open up your eyes to global happenings, and to become more worldly. There are so many countries with histories that you know nothing about, and so many events that you've heard of but couldn't really explain to someone else. As college students and adults, it is about time that we start paying attention to what is happening around the world, not just around the corner. Living in a culture is the best way to experience it. Visiting a country for a vacation does have advantages, but being abroad and living in a new place for a few months really allows you to experience the new culture in depth. Enough for it to start to feel like home, maybe. One experience that goes hand in hand with culture is food. Food is a main asset to a culture. It is a main way for a culture to express itself. While abroad you will be presented with new dishes that will represent your new culture. Branch out and try new things, your hosts will love you for trying, even if you don't like it. Being away from home really has a lot to show you about home. Experiencing a new culture that is totally different from what you are used to will highlight aspects of your own culture that you may have been blind to before or that you can appreciate more now that you're not in it every day. Talking with people from your new culture about your home and hearing their perspective might cause you to view things differently as well. Studying abroad does a lot for your personal development. It might be the first time, besides college that you're going away from home. It might be your first time out of the country. This is a time for you to become independent, to become an adult. You will manage your own finances. You will plan, book and go on vacations. You will live in a new city on your own; well, with a few friends. Get out of your comfort zone and experience what studying abroad can do for you. Do something you were afraid to do before. Let it make you the person you've been itching to become. Studying abroad is the perfect opportunity to perfect that language you've been studying in school for years or to learn a completely new one. Being immersed in the language makes it that much easier to pick up, because you are constantly using it and talking with natural speakers of it. When you're abroad, you won't be alone. Depending on where you go, there will be an abundance of other Americans there by your side. Whether you go with friends or not, you will definitely leave with some. Friendships made while abroad are different and special. You are experiencing something so new together. You are solving problems and making memories. You will also make friends with natives of the country you are living in. Those friendships are almost even better because now you have a friend to go back and visit. Being able to put your study abroad experience on a resume is very attractive to graduate school admissions counselors and future employers. It shows that you aren't afraid to put yourself out there. You are an independent person that doesn't need their hand held in a tough situation. You are smart and you know what's going on in the world around you. You could be an asset to their school or business. Maybe, your travel experience will lead to travel for work or graduate school in a foreign country. Studying abroad opens up so many opportunities you wouldn't have even thought of before. Studying abroad and experiencing this new way of life will teach you things that sitting in a classroom never could. These real life experiences and problems that come with living on your own, managing money and traveling will prepare you for your future in a way that English class will never do. Even if you could take a class on living life on your own for the first time, there's nothing as good as just doing it. Things happen in life that a teacher could never prepare you for, not even your parents. Sometimes, you just need to step back from a situation and handle it in your own way, and that is what being abroad is really about. Probably the most important reason to study abroad is that it gives you unforgettable experiences that will make you want to travel for the rest of your life. Being dropped into a new culture and experiencing new cultures throughout your semester will give you that taste of wanderlust to make you think about your semester long after you've returned back home. It sets you apart from everyone else in a way that only other travelers will understand. The food, the architecture, the people, the geography and so much more make a semester abroad one for the books; one that you would never want to trade for anything is the world. Spending a semester abroad truly is an unforgettable experience that I would urge anyone to do. 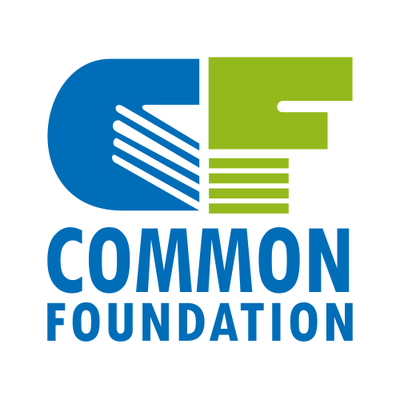 Common Foundation Pvt.Ltd. is a leading educational consultancy based in Kathmandu, can be contacted at 01-4010675 and 9845536915. Till today, there have been 14891 visitors (25040 hits) on this page!